We've been home a few weeks since our beach vacation/family reunion, and it's starting to feel like we're getting back in the swing of things! 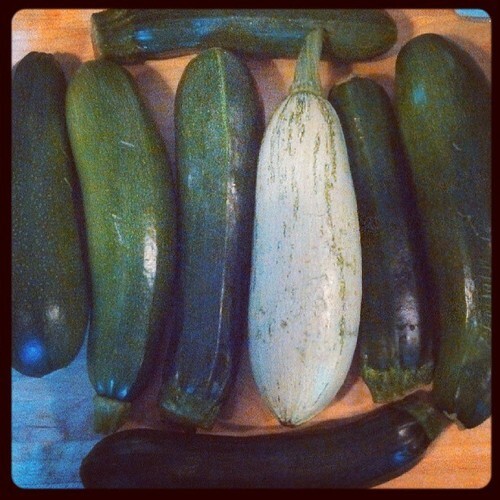 Among other things, we caught up on laundry and dishes (you know, as much as you can catch up on ongoing tasks), mowed all the grass, weeded the garden, and harvested lots of summer squash and garlic. It feels really good to be settling back into our "normal" life again. In related happy news, this past weekend was the first since our trip that Daniel didn't have a fever or vomiting (or both)—yay for healthy weekends! We've all also had two (non-consecutive) uninterrupted nights of sleep since getting home. I'm taking this moment to feel extra grateful for forward progress, however incremental. On Monday morning, Daniel was playing with his phone while I cleaned the kitchen and did dinner prep. He navigated to YouTube to watch his favorite video (and one of the most random and hilarious perseverations I've ever heard of): the refrigerator water filter installation tutorial. After watching it several (more) times, Daniel looked over at me and asked, "Momma, isn't it just SO nice of them to tell us what to do with our water filter interior?" Explaining one of the many steps of the "music experience." 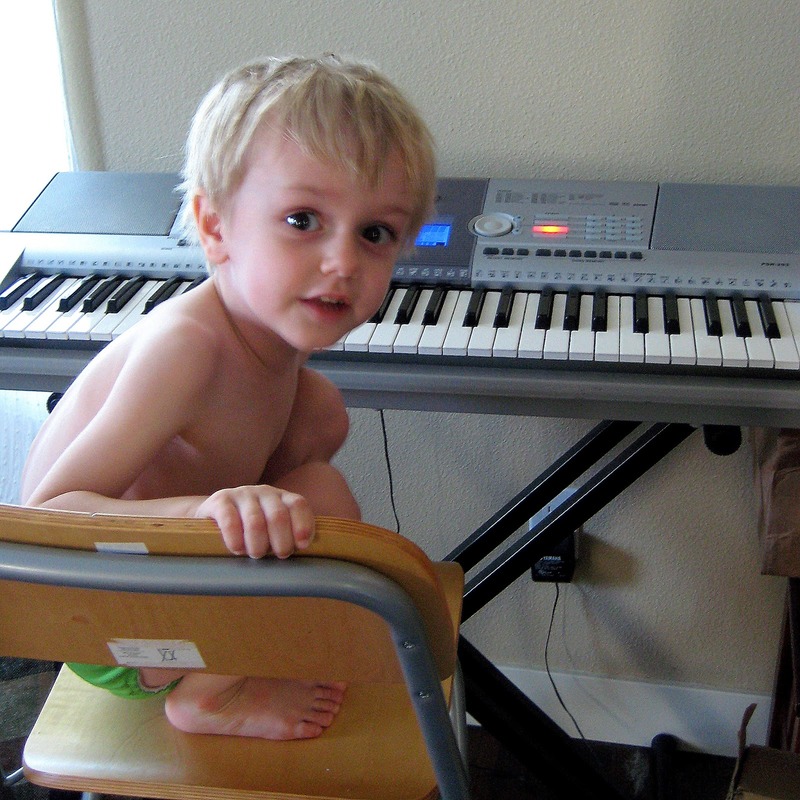 One evening this week, Daniel was contentedly playing the keyboard while Jaymz and I finished making dinner together. After a while, he called to us in the kitchen, "Momma and Papa?" "Would you like to have a music experience?" "This is the one with the buttons [keys] and the stomping and NO WORDS." "And now we will have the stomping experience!" "Okay, would you like to do something that involves singing next?" Why yes, I believe I would!